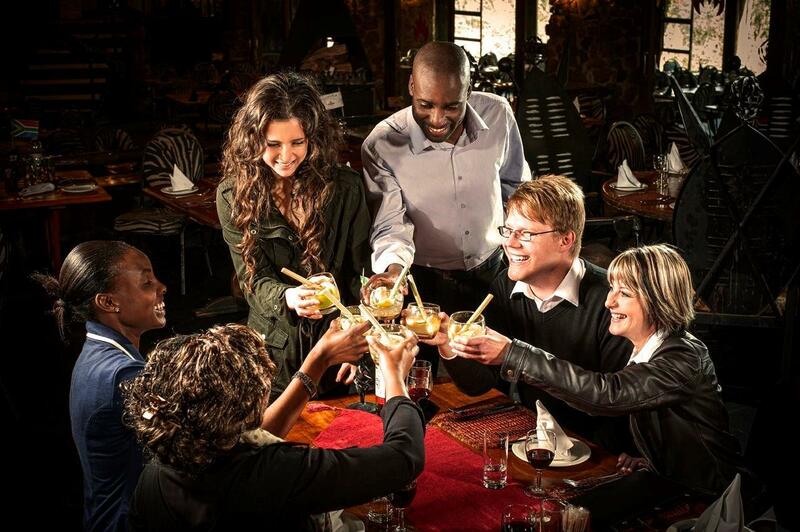 Carnivore Restaurant at Misty Hills is the ideal venue to reward your employees by treating them to Africa’s Greatest Eating Experience! 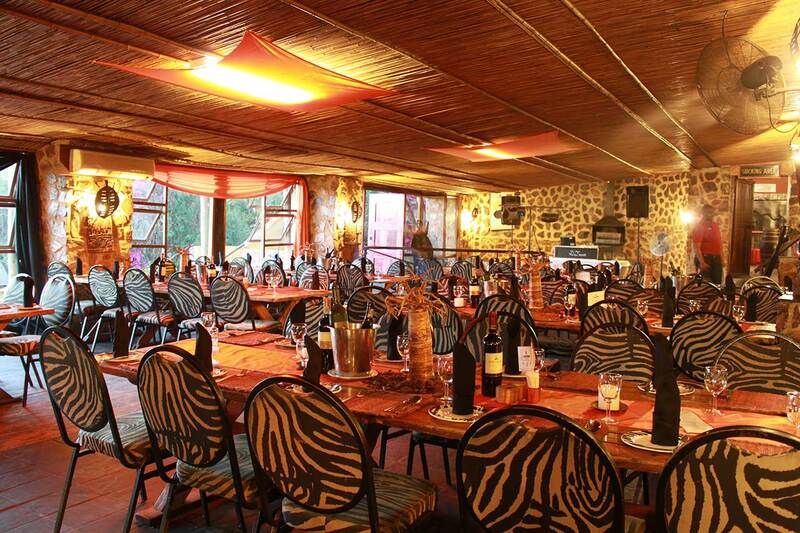 No matter the size of the group, a function at the Carnivore is a truly African adventure. The feast begins with delicious homemade soup and honey bread. 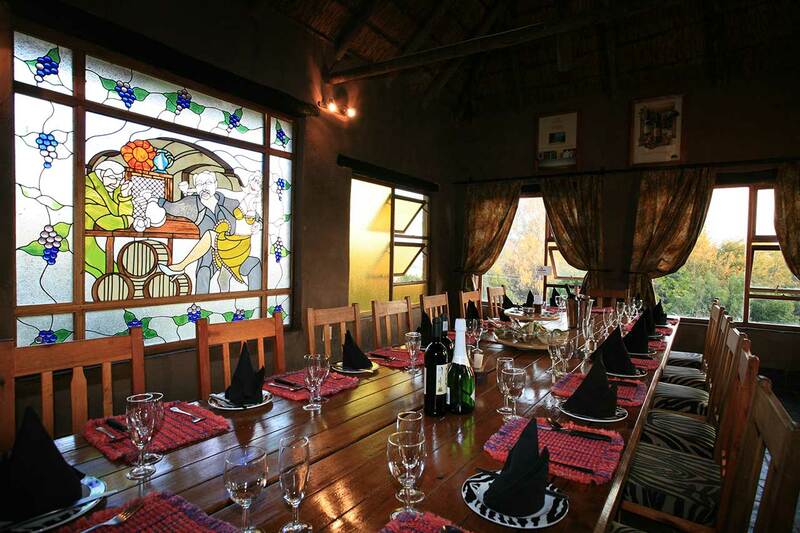 While you sip on a ‘Dawa*’ (the traditional house cocktail of vodka, honey and lime), a Lazy Susan with a small flag on top, is placed in the centre of your table, bearing six different fresh salads and various sauces to compliment your meal. 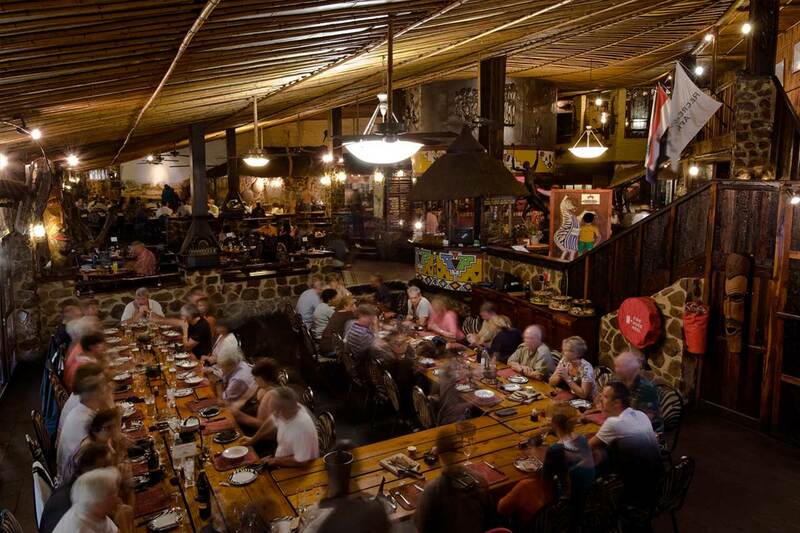 Waiters circulate wielding Masaai spears with at least 15 types of game and domestic meats, ranging from beef, chicken, boerewors and pork to ostrich, kudu and crocodile, to name just a few-all charcoal-grilled and expertly carved directly onto your hot cast-iron plate. Traditional ‘pap’, Sheba sauce, and a baked potato accompany this ‘Beast of a Feast’. Eat as much as you wish and when you have had your fill, you ‘surrender’ by lowering the flag on your Lazy Susan! A selection of delicious desserts, accompanied by tea or coffee, rounds off the meal.